At Doral Toyota, we’re always happy to offer a variety of services to South Florida drivers across the Doral, Miami, Kendall, Hialeah and neighboring South Florida areas. Whether you’re in the market for a new Toyota, or you’re in need of some routine maintenance, we’re proud to be your go-to Toyota dealership. Of course, while we’re glad to provide our many services to these areas, we’re always looking to broaden our reach to other great communities in South Florida. 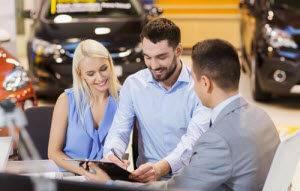 On top of having a vast inventory of different Toyota models like the stylish Toyota Camry, the agile Toyota RAV4, and the eco-friendly Toyota Prius, we’re happy to help drivers with more than just getting a car. Our state-of-the-art service department is here to help keep your Toyota in the best of shape. Our skilled and certified technicians are talented and knowledgeable when it comes to routine maintenance or extensive repairs and service. You’ll be happy to know that we can help keep your vehicle running like new. No one ever enjoys getting into an automotive collision, but when you have our nearby Toyota dealership on your side, it can certainly soften the blow. The team at our collision center is here for you to make any body repairs to your vehicle. We don’t want you to go too long without the joys of driving your Toyota, so our team will go to work and make the necessary repairs to ensure that your vehicle is back to its original form. On this page, you’ll notice a list of different communities, towns, and cities we serve as one of the nearest Toyota dealerships in the South Florida area. Each of these clickable pages begins with a brief introduction of the city or town, highlighting some of its history, culture, and notable attractions. We then introduce our dealership while highlighting a few of our services. For information about our dealership that’s more relevant to you, simply find your town or city and click to see what our team can do for you. You can also click on some of the other pages to learn more about your surrounding communities. 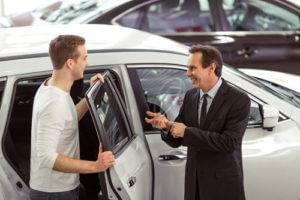 By reading some of these articles, you’ll learn how our dealership can help you. At Doral Toyota, we’re always happy to help drivers from the Doral, Miami, Kendall, Hialeah, and surrounding South Florida areas. Contact our team for more information. We look forward to working with you! Not looking for a new Toyota? Check out our used Toyota service areas near you!